Why Do Child Needs Therapy? If your child’s behavior is prompting her chronic problem in school and at home or is severely disturbing your family life, it’s necessary to get help from a child therapist. Disruptive, explosive or dangerous behavior can be caused by trauma, anxiety, and frustration from an undiagnosed learning issue, among other things. 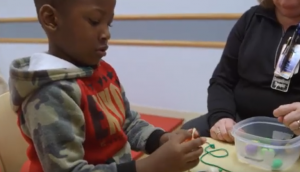 Once you learn what’s behind your child’s behavior, there are often therapies that can be useful in teaching kids to succeed in their practice. If a child is out of control with teachers or parents, that child needs help. It can affect the health and well-being of your entire family. For behavior issues, You might want to ask a mental health specialist who can help evaluate and treat behavior ailments. You can ask a behavioral psychologist who practices in children and adolescents, a child psychiatrist or a social worker with expertise in managing young people.